This article is part of a recurring series by Werner Selle, a Masters of Public and International Affairs candidate at the Graduate School for Public and International Affairs at the University of Pittsburgh. If you have any questions or comments, feel free to contact him at WGS10@pitt.edu. 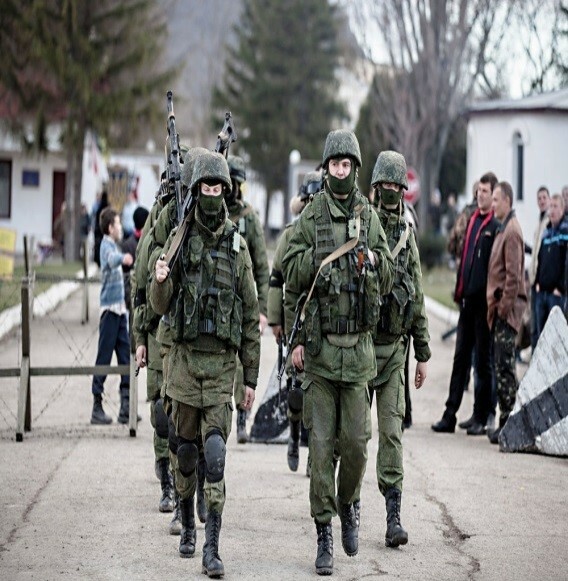 The Russian annexation of Crimea and Russian efforts to destabilize Ukraine, have some political pundits and scholars claiming that Russian President Vladimir Putin has discovered a novel new form of warfare and diplomacy, aptly named the “Putin Tactic.” In February 2014, utilizing unmarked armed forces with support from local pro-Russian groups and other paramilitaries, Russia annexed Crimea. However, this tactic is neither novel nor unique to the Putin administration. Instead the term Fifth Column, credited to Emilio Mola y Vidal, a Nationalist General during the Spanish Civil War (1936-1939) is more appropriate. General Mola told journalists in 1936 that a fifth column of supporters inside Madrid would support and undermine the Republican government from within as his other four columns approached the city. A fifth column is therefore traditionally defined as the infiltration of government-backed subversives or sympathizers into the entire fabric of a nation, spreading disinformation and rumors as well as employing force undermining the effective rule of law and the strength of the state under attack. Yet neither this nor Putin’s approach is new. It is important to consider, therefore, what lessons can be derived from both the previous and current use of fifth columns. The Fifth Column strategy was utilized even in antiquity. In 431 BC, on a rainy spring night, some three hundred Thebans entered the Boetian Town of Platea, an ally of Athens. Through support of local pro-Theban Plateans, the gates of the city were opened and the Thebans were admitted. The Athenian historian Thucydides comments that this was commonplace for the next twenty seven years of the Peloponnesian War, with both oligarchic and democratic fifth columns inviting through subterfuge, either Athenian or Peloponnesian forces into their cities. In American history, fifth columns were active in both the Revolutionary War and the American Civil War. An informative book by George Fort Milton, describes in detail not only the composition and tactics of the Confederate fifth columnists, but also the difficulties facing President Lincoln in combating fifth column elements. During World War Two Fifth Columns were not only feared but became de facto scapegoats for military defeats. One headline even proclaimed that “German tourists with machine guns seized Luxembourg before German regular forces arrived.” Admittedly, these fifth columns did play significant roles in certain German successes. The German seizure of the Sudetenland in Czechoslovakia in 1938 is similar to the Russian seizure of parts of Ukraine in 2014. Both Czechoslovakia and Ukraine had/have minority populations bordering an avaricious major power neighbor purporting to be a minority’s protector or national homeland. Both Hitler and Putin claimed they were merely protecting their ethnic countrymen. Furthermore, both the Third Reich, and Putin’s Russia not only expressed public support for local movements, but gave overt and covert support for these movements. Nevertheless, the tactical benefits of a fifth column are myriad. They undermine the efforts of an opponent prior to any hostilities or before actions commence. 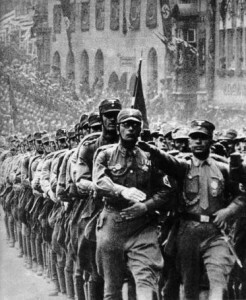 In the case of the Sudetenland, German Freikorps, armed self-defense forces would have undermined any efforts by the Czech government to resist. 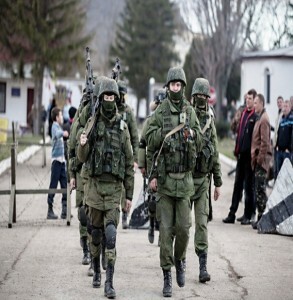 Similarly, in Crimea, well-armed pro-Russian groups significantly reduced the possibility of pro-Ukrainian forces from resisting the Russian takeover. The infiltration of sponsored infiltrators or sympathizers into the entire fabric of a nation, spreading disinformation, rumors as well as employing force undermines the effective rule of law and the strength of the state under attack. From a military perspective fifth columns are able to subvert the enemy’s defensive strategies, harass or cripple supply and communication lines. Yet, most significantly utilizing a fifth column, forces the enemy to confront or combat its own populace which can be not only detrimental to morale, but also might spur others to join the fifth column or alienate the military force. Furthermore, the utilization of a fifth column reduces the international exposure of utilizing one’s own forces, while leaving the opponent with possibly embarrassing incidents of use of force against civilians. Unfortunately, a Fifth Column strategy may have limited success depending on the strength of the fifth column and the extent of outside support. In the case of World War Two, the fascists groups in Britain, such as the British Union of Fascists led by Oswald Mosley, may have been significant contributors to German success during the Battle of Britain, but without German support and limited in size, it was quickly disbanded and its leaders interned. In sharp contrast, in Norway, Vidkun Quisling was able to seize power in a coup d’état with German support, and remain a German collaborator until the end of the war. In conclusion, the “Putin Tactic” is neither novel nor unprecedented. This is not surprising; let us not forget that history often repeats itself, and that successful strategies no matter what guise they are in, are often reintroduced.